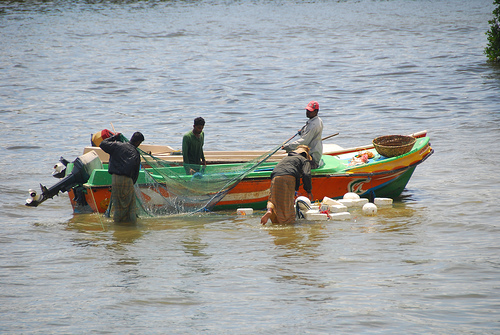 police at the Karginaada harbour in Aandra Pradesh in India, has arrested eleven Sri Lankan fishermen. According to India's PTI news Agency, the Sri Lankan fisherman were arrested for violating the Indian maritime border. The police have also seized the two boats the fisherman were traveling in. There is a forty five day ban at present on Fishing along the Indian maritime border, due to the lack of fish as a result of overfishing.